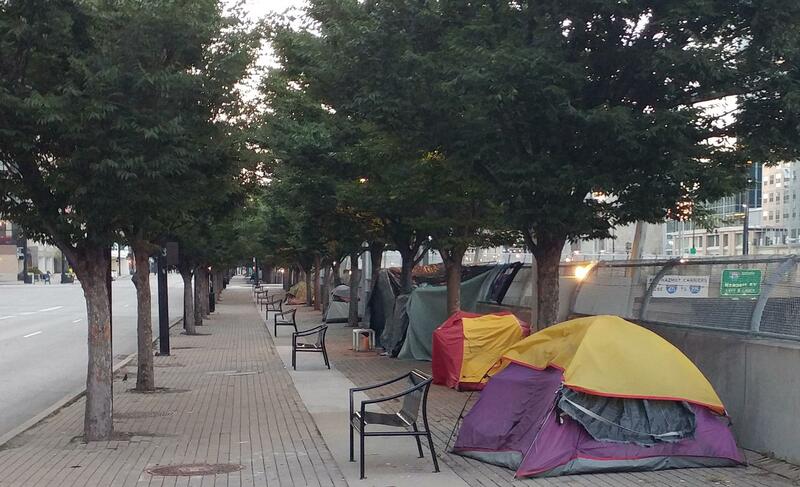 Several tents housing the homeless line Third Street in Downtown Cincinnati. Greater Cincinnati Homeless Coalition Executive Director Josh Spring said those folks don't plan to leave. 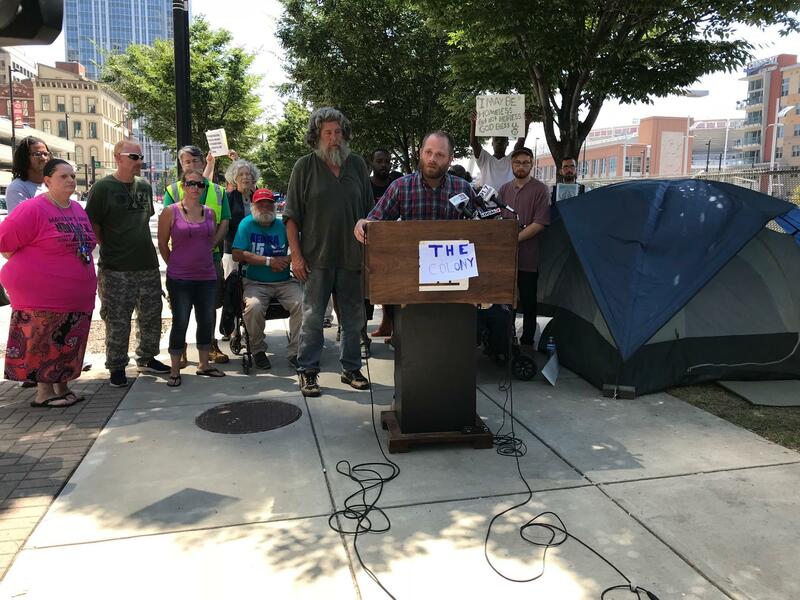 The group held a press conference near the tents Wednesday. "There is no intention to leave this space because the city says to do it," Spring said. "Instead, there's an intention to call the city, and to call the community, to task to say that our priorities are out of order." Greater Cincinnati Homeless Coalition Executive Director Josh Spring talking during a press conference Wednesday. One camper at Third Street, who did not give her name, said she relocated there after being forced out of the camp that was closed earlier. "I feel like I have somewhere stable right now being up here," the camper said. "We don't want to be shuffled around. You guys are trying to hide the problem, you need to fix the problem." Another camper, who only identified himself as Desmond, agreed he's staying put. "Who's out here for us?" Desmond said. "They want to get rid of us? Well, we're not going." Meanwhile, a new homeless camp has popped up at Mehring Way and East Pete Rose Way underneath a highway overpass. Spring says the homeless problem has gotten worse recently. 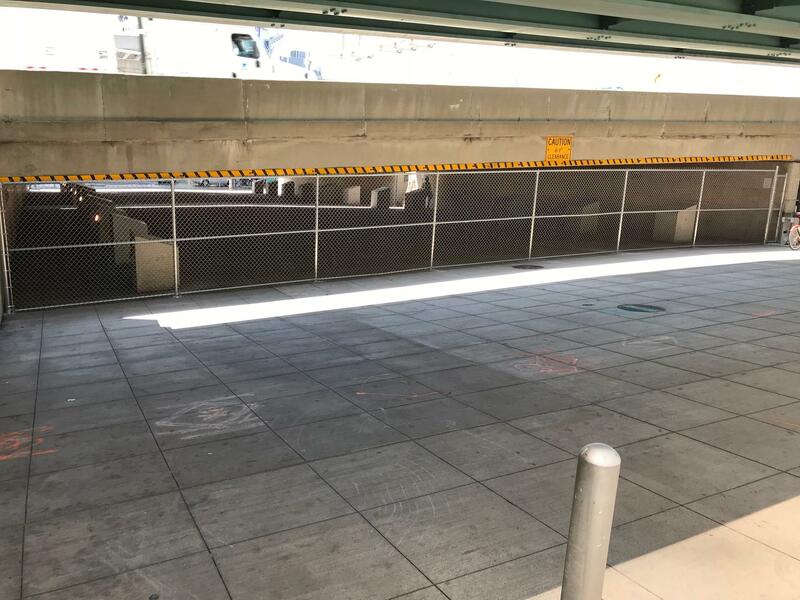 Cincinnati officials have fenced off an area underneath Fort Washington Way near Paul Brown Stadium where a homeless camp was cleared out Wednesday morning. "We call on our society, on our community, and on our local government to focus on big solutions for a big problem," Spring said. "Little solutions don't cut it. Things that make us feel better don't cut it." Spring says there needs to be more affordable housing in the city, and residents needs more access to alcohol treatment, mental health services and help finding a job.